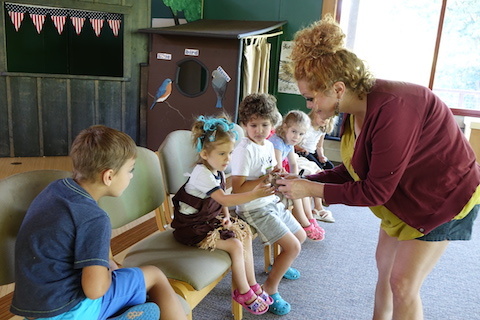 The “Roots ‘N Shoots” preschool nature programs at Oglebay Institute’s Schrader Environmental Education Center build early science skills and promote nature appreciation. By combining play and learning, children develop at their own pace and better understand how they are a part of the larger world. 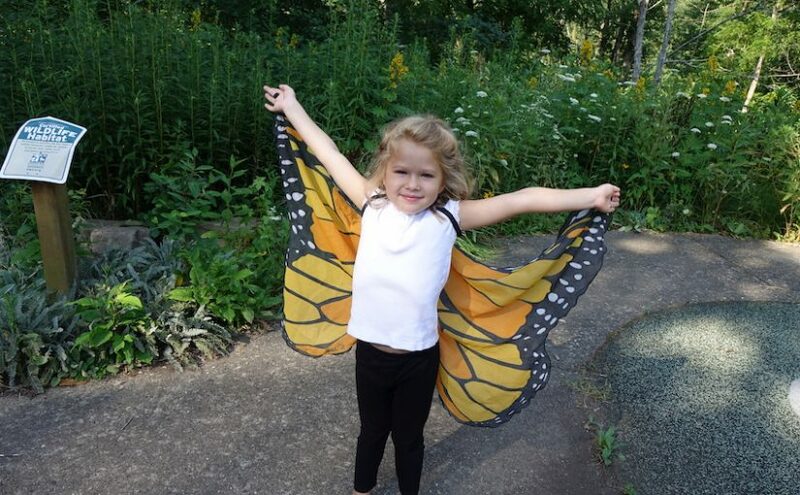 Spring programs take place from 9:15-10:15am on select Fridays through mid-May and are open to children ages 2-4 with an adult. Schrader Center naturalists lead all activities. Cost is $55 for the entire series or $12 for individual programs. Membership discounts and multi-child discounts are available. Advanced registration is strongly recommended because class sessions may fill up. Schrader Center director Molly Check explained that the “roots” of the program are the adults who accompany the children and the “shoots” are the young, aspiring naturalists. March 29: Are You My Mother? Explore how birds take care of their babies and learn a bird song or two. Things are waking up after their long winter nap, even plants! Experience a seed’s life cycle as you become a seed, a shoot and finally grow into a plant. Dig in and get dirty as you plant your own flower in a recycled container using recycled soil. Learn about plant parts and what they do for the plant you take home. Gather your senses and head out into the woods to use them all. What will you see or hear? Explore animal life cycles as we capture tadpoles and observe wildlife at the upper pond. Class will meet at Schenk Lake. For more information or to register for any of the programs, call the Schrader Center at 304-242-6855.